Anna just wants to earn enough money on the side to buy into the bakery, Callie’s Cakes, where she works together with her best nerd pal, Callie. The last thing she expects to see when she walks into Arthur’s apartment to do some moonlighting is a blood bath. Callie’s ready to jump into the investigation of Arthur’s murder, and she’s bringing another bakery worker, Kristie, into their hijinks whether Kristie wants to or not. But things aren’t as they seem. There are gang affiliations, illegal gambling dens, and ladies of the night to wade through. Will Anna and Callie discover who murdered Arthur, or will Callie’s detective boyfriend and Anna’s self-appointed protector put a stop to such aspirations? Warning: This is NOT your mom’s cozy mystery. 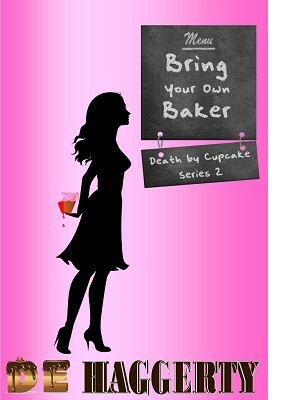 Bring Your Own Baker may be a ‘clean’ read, but if gangs, illegal gambling, and pimps make you turn your nose up at your e-reader, you might want to skip this one. Although you’ll be missing some sizzling chemistry between Anna and her protector. Not to mention a whole bunch of witty dialogue.